Happy Friday! Wanted to do a short and sweet post today about this shoe I am IN LOVE with right now. It’s no secret that I have been absolutely obsessed with the velvet trend this season, and I fully intend to keep it going. 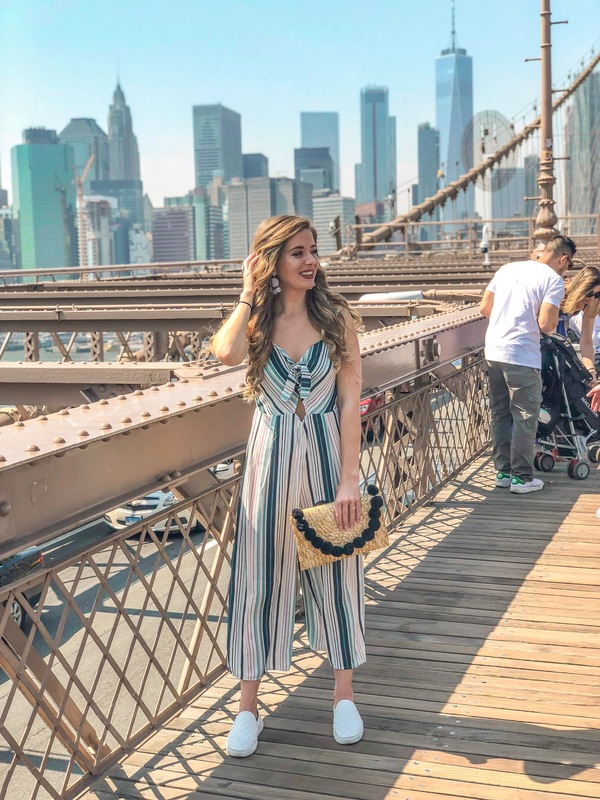 With the new year in full swing, and Valentine’s Day approaching, I wanted to share with you some of my favorite blushing pink velvet heels currently taking over my closet. These beauties are the perfect substitute for a usual patent leather or red suede pump. However, don’t worry – I’ll be covering all of my favorite red and merlot show-stopper shoes and dresses closer to February. Because what girl doesn’t need a little red dress or pair of heels to wear for her someone special .. even if that means showing up as one of the ‘women in red’ for the Bachelor premiere (too soon? HA). 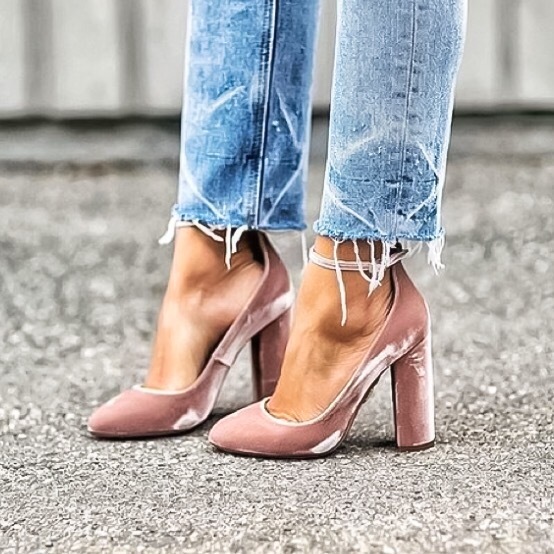 For a sassy stiletto – Let me point out this gorgeous Barely There Skinny Stiletto by MISSGUIDED, in Pale Pink, under $50!! Looking for something to spice up an outfit for a night out? 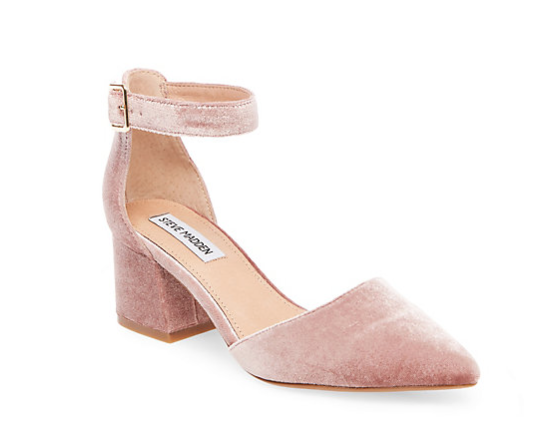 Pair these blushing beauties with a chic black crop and midi skirt set or black denim with a grey or white body suit. Grab an embellished clutch and your OOTN is complete! 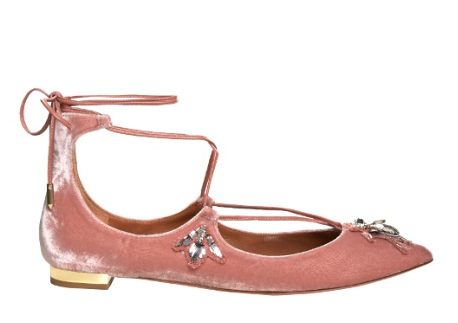 I could LIVE in these glistening Aquazurra flats with all the cute little details, even a little gold block heel. I’d pair them with a fun white skater dress or even some washed out dark grey skinnies w/ a black belt and T-shirt! Whether you’re walking around the house, running to the grocery or going to a coffee date, these slip-ons will add instant glam without losing any comfort. With the ultra-chic vintage appeal and fun textured details, people will think you spent TONS on this adorable slip-on, when really it was a STEAL.